A latest ECGC Recruitment 2018 Notification has released by Export Credit Guarantee Corporation of India Ltd. To fill up 32 Probationary Officer Vacancies the ECGC has an inviting online application form. Interested candidates can apply from 1st January 2018 to 15th January 2018. From this article applying candidates can check Education Qualification, Age Limit, Application Fee, Selection Process, Pay Scale, and How to Apply details are clearly mentioned in the below section. Aspirants can check important dates for ECGC PO Vacancies 2018 in this section. Also, visit the official website of Export Credit Guarantee Corporation of India Ltd www.ecgc.in. Applicants can refer the complete details on ECGC Recruitment 2018 in this section. The officials of Export Credit Guarantee Corporation of India Ltd has recently issued an ECGC Recruitment 2018 Notification to fill up 32 Probationary Officer Vacancies. Interested candidates can start filling the application form through online mode. The ECGC organization has already started to fill the application process. Applicants must submit the form before 15th January 2018. We suggest all the desired and eligible people can read the complete article and apply for ECGC Recruitment 2018. Interested applicants in ECGC Probationary Officer Recruitment 2018 are advised to go through the official advertisement which is available at the bottom of the page. The candidates Education Qualification is an Associate member of Institute of CA/ ACS/ CFA Or must Possess their MBA Post Graduate in Economics or Mathematics International Trade or Statistics from any recognized University. More details regarding the ECGC PO Jobs 2018 like Eligibility Criteria, Selection Process, Salary Details, How to Apply Steps etc can simply provide in the below. Job Seekers who are looking for latest Central Government Jobs they can apply for ECGC Recruitment 2018. As per the notification, the candidates must fill the online application form and submit form 1st January 2018 to 15th January 2018. The ECGC has released totally 32 Probationary Officer Vacancies. To apply for latest ECGC Recruitment 2018 candidates will have a specified age limit as per the official rules. The candidate’s minimum age limit is 20 Years and the maximum age limit is 30 Years. Category wise age relaxation details are clearly updated in the below section. Applied candidates will be selected on the basis of Written Exam and Personal Interview. Aspirants who want to apply for ECGC Probationary Officer Recruitment 2018 they must download the official notification which is attached at the end of the page. After that, aspirants must fill the application form with exact details. We suggest all the candidates fill the online application form and submit it before 15th January 2018. 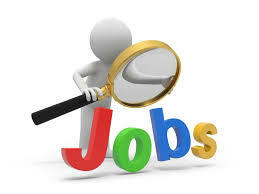 Visit our website Sarkari Recruitment and check latest updates on Government Jobs. The Export Credit Guarantee Corporation of India Ltd has offered a good chance for eligible candidates to recruit brilliant people for 32 Probationary Officer Vacancies. The ECGC Recruitment 2018 is a marvelous opportunity for the job seekers. So, we suggest all the candidates who are eagerly waiting for Central Government Job Notification can utilize this chance by applying for ECGC PO Vacancies 2018. While coming to the application fee the General candidates need to pay Rs. 600/-. And Rs. 100/- for ST/ SC/ PWD candidates. After completion of the selection rounds aspirants who are selected for Probationary Officer Vacancy, they will receive Rs. 3, 2795/- to Rs. 6, 2315/-. Before filling the application form follow the below given instructions and apply for ECGC Recruitment 2018 Notification through online mode. We request all the applicants refer the provided information carefully and apply online for ECGC Job Openings 2018 before the closure date. Contenders who are eligible for ECGC Probationary Officer Jobs 2018 can grab this wonderful opportunity. Associate member of Institute of CA/ ACS/ CFA Or must Possess their MBA Post Graduate in Economics or Mathematics International Trade or Statistics from any recognized University. For ST/ SC candidates the upper age relaxation is 5 Years. And For OBC category the age relaxation is 3 Years. The upper age relaxation for PWD candidates is 10 Years. To recruit the talented people into the Export Credit Guarantee Corporation of India Ltd the officials are going to conduct the Written Exam and Personal Interview. For General candidates: Rs. 600/-. For ST/ SC/ PWD people the application fee is Rs. 100/-. After completion of the selection process candidates who got selected for ECGC Probationary Officer Jobs 2018, they will get Rs. 3,2795/- to Rs. 6,2315/-. The Starting Date to Fill the Online Application Form is 1st January 2018. The Closure Date For Submitting the Online Application Form is 15th January 2018. Admit Card released date is 5 days before the Online Exam. The Online Written Exam Date is Feb 2018. Visit the official web portal of Export Credit Guarantee Corporation of India Ltd www.ecgc.in. On the Home Page find for ECGC Recruitment 2018 Notification. Now click on the provided link and check the information clearly. Suitable people for Probationary Officer Vacancy can download the application form. Now fill the form with exact details. Refer the given details and submit the application form before 15th January 2018 through online mode. Hope the above given ECGC Recruitment 2018 details is useful for you while filling the online application form. Without wasting your time eligible aspirants can apply for ECGC Probationary Officer Jobs 2018 as soon as possible. After completion of the written test aspirants can view their results status on सरकारी रिजल्ट.